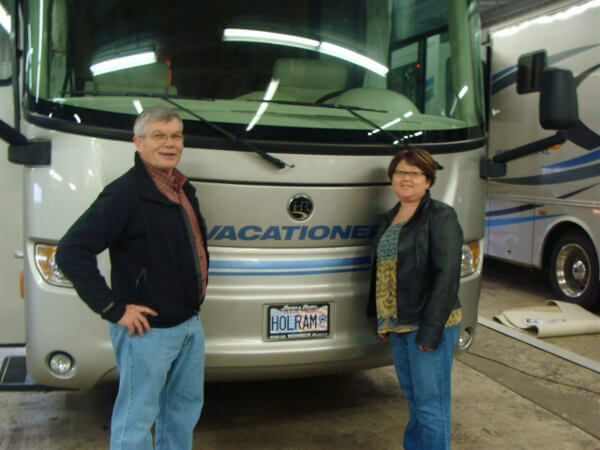 Here at Phillips RV Sales, your leading IL RV dealer, we've been proudly serving up happy and satisfied customers for years now. From top rated recreational vehicle sales including new and used motorhomes, travel trailers, and fifth wheels to the very best in RV repair and service, including an extensive parts department, we've got you covered for all of your recreational vehicle needs. From blossoming families to those looking to enjoy their retirement exploring the open road, we've helped countless shoppers from all walks of life get behind the wheel of an RV that they'll love for years to come. Feel free to take a moment and look upon the happy faces of some of the satisfied customers that we've served in the past. If you're in the market for a new or used recreational vehicle, or perhaps you just want to get the one you already own ready for your next big adventure, we here at Phillips RV Sales are ready and eager to help. To learn more about the different services that we have to offer, please feel free to give us a call at 815-933-2251.